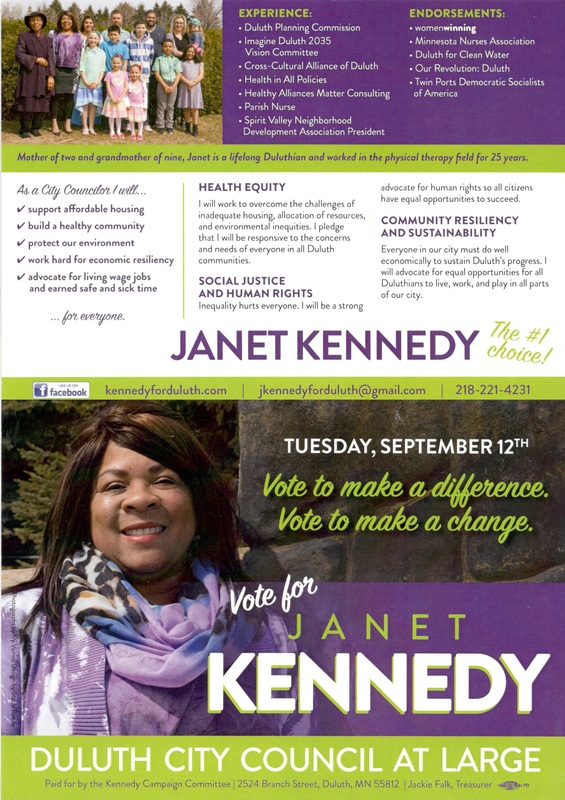 Talked briefly to Janet Kennedy who's a candidate for an At Large seat on the Duluth City Council. She was nice enough to ask, so I'll probably vote for her. I'd have her on the show sometime, too, I think. Dunno if she'd do it, though.